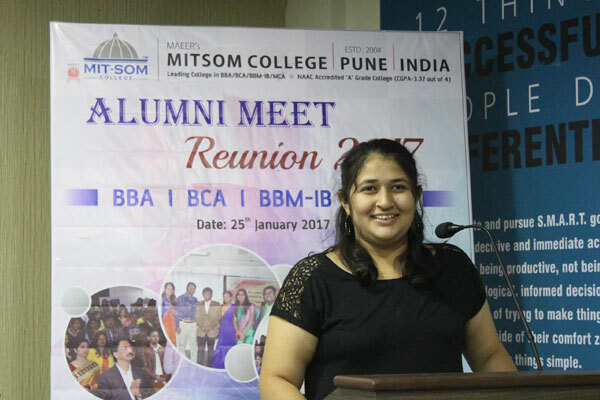 To take a walk down the corridors of nostalgia, the Tenth alumni Meet, “Reunion 2017” of MITSOM College, was inaugurated by the Principal Dr.R.M.Chitnis on 25th January 2017 at 6.00 pm. 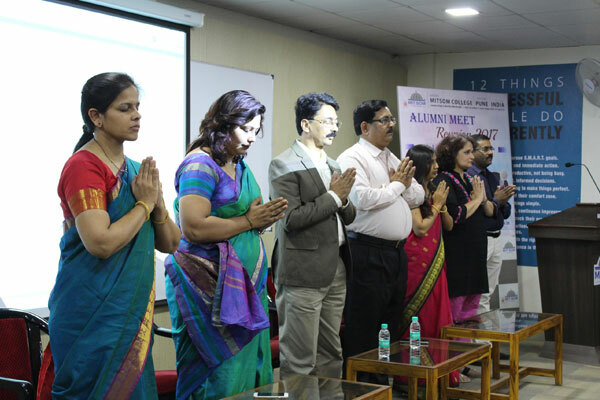 The meet started traditionally with the lighting of lamp and was followed by the World Peace Prayer .The occasion was graced by more than 400 Alumni across various batches from various parts of the country. Speaking on the occasion, the principal underlined and praised the achievements of Alumni of MITSOM College in all walks/spheres of life. 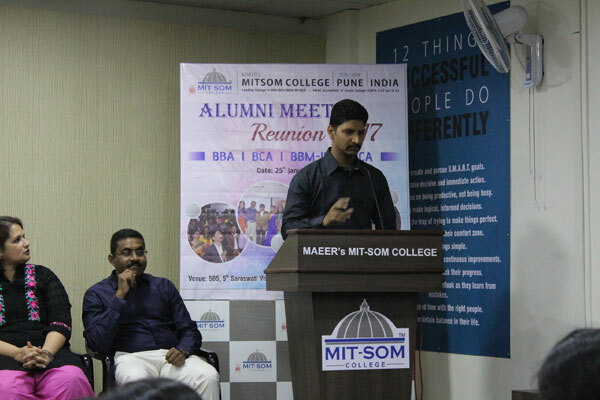 He felt that it was matter of great pride for MITSOM College that its Alumni are holding positions of responsibility in various sectors, Academic Institutions. Many of them are successful entrepreneurs providing jobs to others as well. 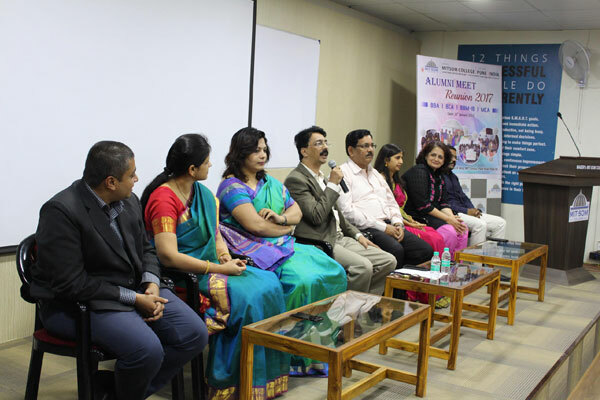 He praised their contribution towards the growth of their Alma Mater and emphasized the need for further strengthening the linkage between the Alumni and MITSOM College and current students. 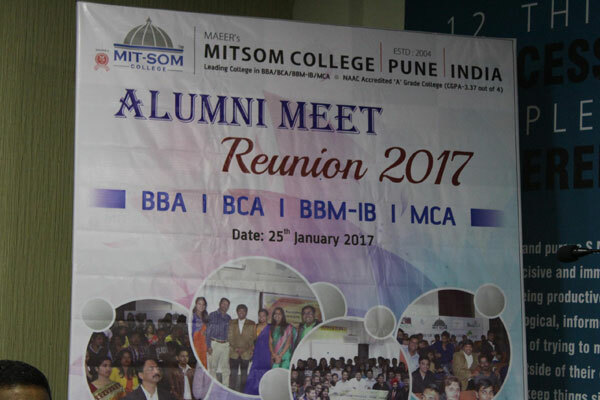 The Inaugural session was also attended by various Deans, Registrar, HODs, and faculty and staff members of MITSOM College The Inaugural session was followed by cultural programme by our students and alumni Great bonhomie was observed everywhere with old students reliving their old memories with their batch mates, seniors and juniors. Many of the current students were also seen interacting with their pass out seniors and learning from their experiences. In all, the ambience was electric with people seen chatting and dancing in groups. It was decided to strengthen the link between the current MITSOM College students and alumni for their support to current students in the area of training, placement, career counseling and any other help. 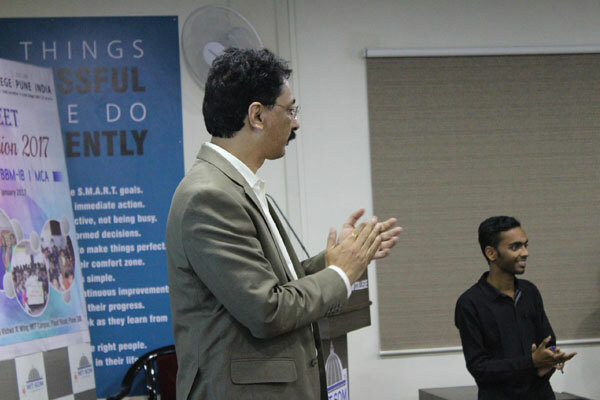 A feedback was also collected from alumni regarding the organizational aspects of the Meet and their suggestions for improvement in professional training at MITSOM College. The Alumni Meet closed at a very emotional note. However, everyone appreciated the efforts by the college in organizing the Meet. Everyone departed with the resolve to visit again on the same date next year and spread the message amongst all who could not visit this time.